We’d love your help. 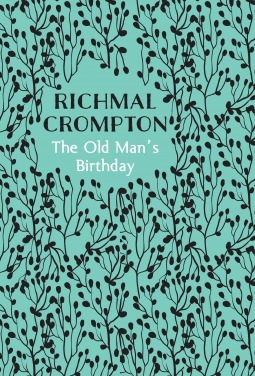 Let us know what’s wrong with this preview of The Old Man's Birthday by Richmal Crompton. Richmal Crompton's adult novels are an absolute delight and every bit as charming as her beloved Just William series. The Old Man's Birthday is both a nostalgic treat for fans of the gentler brand of interwar fiction, and a dry satire of British village life. Matthew Rowston is turning 95. A lovable rogue approaching his dotage, he has very little time for the high moral s Richmal Crompton's adult novels are an absolute delight and every bit as charming as her beloved Just William series. The Old Man's Birthday is both a nostalgic treat for fans of the gentler brand of interwar fiction, and a dry satire of British village life. Matthew Rowston is turning 95. A lovable rogue approaching his dotage, he has very little time for the high moral standards and rigid ideas of propriety espoused by his spinster daughter. Things get interesting when he invites his estranged son, the bright and lively Stephen, and his beautiful partner to his celebratory dinner. Over the course of the day, Matthew walks around the village, introducing the pair to his large and varied clan, from the aging Jolly-hockey sticks granddaughter who is considering a torrid affair of her own, to his elderly bookish bachelor son and the lovely great-granddaughter struggling to find her place in the world, doomed to work as a clerk in her dull and dismal father's firm. Teaming beneath the calm surface of village and family life, lies a whole world of secrets and desires, hopes and dreams. To ask other readers questions about The Old Man's Birthday, please sign up. Many people will at least have heard of the William books by Richmal Crompton; those stories about the irrepressible school boy who is always getting into trouble, in spite of his good intentions. Few people will also be aware that she wrote many novels for adults as well as the ever popular William books. This is the first one I've read and I enjoyed it. It is about a family on the day of Matthew Rowston's ninety fifth birthday. He has upset many members of his family by inviting one of his gra Many people will at least have heard of the William books by Richmal Crompton; those stories about the irrepressible school boy who is always getting into trouble, in spite of his good intentions. Few people will also be aware that she wrote many novels for adults as well as the ever popular William books. This is the first one I've read and I enjoyed it. It is about a family on the day of Matthew Rowston's ninety fifth birthday. He has upset many members of his family by inviting one of his grandsons - Stephen and his partner Beatrice to the birthday meal. In the twenty first century this would hardly raise an eye brow but when this book was written it just wasn't socially acceptable for people to live together outside marriage. During the day Matthew takes Stephen and Beatrice round he village to meet various other members of the family. Gradually the reader learns the inside story of the family and sees how some of the members of it are dealing with current problems. This is a sensitive and poignant novel of family relationships and how human beings cam so easily mess up their lives. The characters are vividly created without lengthy descriptions and the writing is fluent and low key. If you want to read a novel about ordinary people which assumes a certain level of education and intelligence in the reader then this might be one to try. In my opinion it has stood the test of time very well indeed and it is good to see these almost forgotten novels once again available to a new generation of readers. I shall certainly be reading more of them. I received a free copy of this book from NetGalley for review. The Old Man’s Birthday first published in 1936 is set in familiar Crompton territory – a large family, an English village, secrets and scandals and the exploration of personality flaws. Unashamedly cosy reading it was perfect for the busy tiring time I have been having. The entire story (apart from various flashbacks) takes place on one day. It is the day of old Matthew Rowston’s 95th birthday. Matthew is quite definitely something of a lovable old rogue, although he can be a curmudgeonly old so The Old Man’s Birthday first published in 1936 is set in familiar Crompton territory – a large family, an English village, secrets and scandals and the exploration of personality flaws. Unashamedly cosy reading it was perfect for the busy tiring time I have been having. The entire story (apart from various flashbacks) takes place on one day. It is the day of old Matthew Rowston’s 95th birthday. Matthew is quite definitely something of a lovable old rogue, although he can be a curmudgeonly old so and so. Having to pit his ageing wits against the ridiculously high moral standards of his eldest daughter – who upon her widowhood moved back in with him – he is aided in all things by his valet, Gaston (almost as old as his master). His eldest daughter Catherine is a tartar, his spinster daughter Charlotte also living in his house, a fluttering, endlessly sentimental woman, neither she nor her sister are allowed into their father’s room without invitation, and Gaston is their sworn enemy. 'Adult' Richmal Crompton re-issues coming from Bello/Pan Macmillan August 27. Matthew Royston wakes on the morning of his ninety-fifth birthday remembering his adventurous exploits and pondering the personalities of his many off-spring. This day bodes both good and bad for Matthew, as we see his and his descendants' lives unfold...all in one day. Another beautiful slice-of-life word portrait painted by the prolific Richmal Crompton. If you love period dramas without the explicit, vulgar sentimentalities, then Crompton's novels are for you. I recently discovered her, and wh Matthew Royston wakes on the morning of his ninety-fifth birthday remembering his adventurous exploits and pondering the personalities of his many off-spring. This day bodes both good and bad for Matthew, as we see his and his descendants' lives unfold...all in one day. A fine little human comedy. Well written, with a style that flows. I wish it had been slightly more fleshed out. England before the Second World War. This review has been hidden because it contains spoilers. To view it, click here. I read and loved the William books as a child and was curious when I came across her adult novels. It took a while to get into the plot and I think I was always somewhat confused about the various branches of the family. The plot was a very broad survey of the different attitudes and experiences of the Old Man's relatives, mostly female, as they prepare to celebrate his birthday. Some of the unsympathetic characters seem to have no redeeming features at all. Some of the stories (especially the o I read and loved the William books as a child and was curious when I came across her adult novels. It took a while to get into the plot and I think I was always somewhat confused about the various branches of the family. I had not come across Richmal Crompton's adult stories before reading this! It is a gentle story set in the interwar years when there is a birthday party planned. The invitees add some spice and it is all very jolly and lighthearted. I was given a digital copy of this book by the publisher via NetGalley in return for an honest, unbiased review which I am very happy to give. I loved all the different characters that intersected with the Old Man's life. The only complaint I have (which isn't even much of a complaint), is that I couldn't keep all the characters straight, and the book was too short. If it was longer and therefore more space devoted to each character, I think they would have been easier to recall and place in the story. Nevertheless, I enjoyed it very much. 4.5 stars. Crompton's fiction centres around family and social life, dwelling on the constraints that they place on individuals while also nurturing them. This is best seen in her depic Richmal Crompton Lamburn was initially trained as a schoolmistress but later became a popular English writer, best known for her Just William series of books, humorous short stories, and to a lesser extent adult fiction books. Crompton's fiction centres around family and social life, dwelling on the constraints that they place on individuals while also nurturing them. This is best seen in her depiction of children as puzzled onlookers of society's ways. Nevertheless, the children, particularly William and his Outlaws, almost always emerge triumphant.